The rewarding path of entrepreneurship is long and dotted with pitfalls. There is no other way to set the business wheels into motion than to tool up. In other words, you need to figure out office supplies and other essentials that fuel your endeavours. This process involves a matrix of different elements. Some of them we tend to take for granted, yet when they are nowhere to be found, we are in a pickle. So, get into the art of planning and line up everything you need. Assemble a functional and well-designed office space and you will be able to get the operation up and running. Blowing the budget is a legitimate concern for newly minted entrepreneurs. To avoid this scenario, you should assemble a comprehensive list of essentials. Namely, you can start by identifying only the basic office supplies and equipment. This will help you navigate the shopping and installation frenzy. In any event, there are some big expenses and major pieces of equipment, but you also have to keep an eye on details. 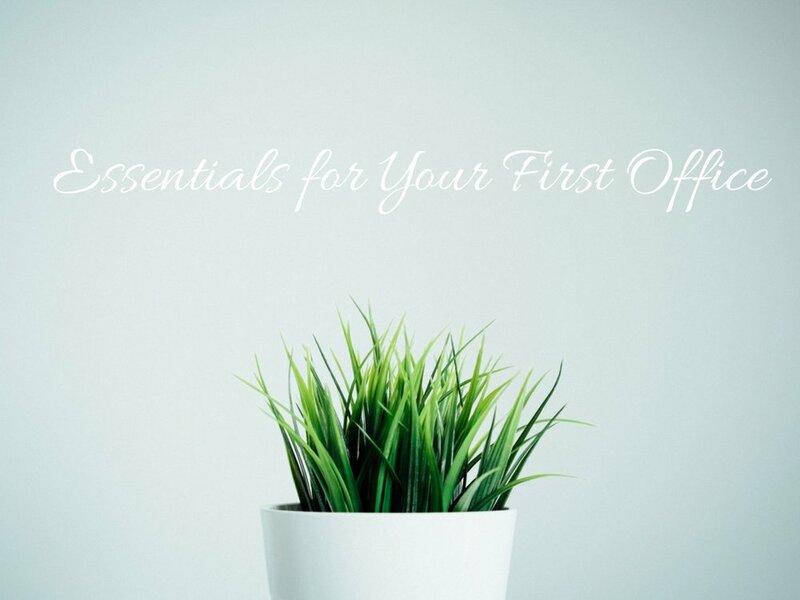 Yes, office supplies may not cost a fortune, yet you do need them. For instance, desk supplies often get overlooked, which can cause many unnecessary headaches. So, make sure you have paper clips, scissors, staplers, highlighters, pens, and other small items. To prevent a mess from ensuing, utilize smart desk storage solutions right off the bat. Organizers make your life easier and keep annoying distractions at bay. Likewise, keep important paperwork in folders. Speaking of which, paper is still an unavoidable asset for most offices. If nothing else, you need it for printing and writing. Therefore, it would be wise to stock up on notepads, notebooks, sticky notes, and paper for printers and copiers. At the same time, try to reduce the overall use of paper. Figure out ways of digitizing your office. Store documents and files on your hard drive or cloud platforms. This will help you become more eco-friendly and also reduce physical storage requirements and clutter. These smart tactics bring us to the point of making the most of software tools at your disposal. There is a wide array of solutions that cover everything from scheduling meetings to bookkeeping. Handling team assignments is much easier to pull off with the help of project management tools such as Slack. Along similar lines, bear in mind that the market is flooded with business automation solutions. As the name suggests, they make your life much easier by automating tedious and routine tasks. Regardless of whether you possess mobile devices, having a laptop or a desktop is an absolute must. The former offers mobility, while the latter packs a stronger processing punch. If you go for a desktop, you also need a monitor, as well as other peripherals. I would not skimp in this department because lackluster technology quickly becomes obsolete. You might also want to pick a printer and a wireless router in order to keep all your devices connected. Considering the amount of time you spend sitting, you have to be careful when picking office furniture. Take your time and stick to high-quality products. Adhere to the principles of office ergonomics to ensure peak productivity and preserve your health and well-being. See to it that the desk, chair, and your computer come seamlessly together and provide maximum comfort and utility. Note that quality furniture pieces also give off a professional impression and come in handy when your partners and clients come by. So, make sure your psychical space reflects who you are and values you uphold. Moreover, to design a stellar office, you should place the furniture only after fleshing out your floor plan. Open plan is quite popular nowadays, although there are both pros and cons to using it. Weigh them carefully. Finally, we have already mentioned storage, but we have to do it once again. Try to maximize vertical space with floor-to-ceiling open shelves. Add containers to set order to items and use labels to keep track of them. Consider employing easy-access drawers for storing smaller items you need regularly. You should think outside the box and make good use of innovative and flexible solutions such as rolling caddies with drawers. The list goes on, so explore all the avenues before making a purchase. A typical office encompasses a variety of moving parts. They must all work in harmony to support our daily habits and long-term goals. Therefore, you have to plan ahead of time and think strategically. Set up a budget to get the most bang for your buck. Get your priorities straight: separate must-haves from nice-to-haves. Banish clutter and keep distractions out of the way. Arm yourself for the long business race and get more things done every day. The right decisions in this department will set you on your way to achieving your objectives and beyond.